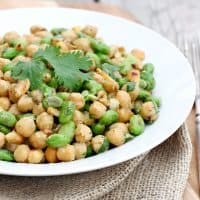 CHICKPEA EDAMAME SALAD WITH AVOCADO GINGER DRESSING — Chickpeas and edamame are tossed with a creamy, slightly spicy avocado and ginger dressing in this healthy protein packed salad. I love chickpeas and edamame and often incorporate them into salads and other healthy lunches, so combining them in this Chickpea Edamame Salad with Avocado Ginger Dressings seemed like a natural thing to do. The best part about this salad is that everything is toasted in a skillet first, which results in a fabulous, nutty flavor. I find that a cast iron skillet works best, but if you don’t have one, use whatever you have. I like this salad best when it’s served warm, but I often eat the leftovers cold the next day–just be sure to add a little more of the avocado dressing to your leftovers. You will have some extra dressing, mainly because it’s hard to mix up a much smaller portion in your blender or food processor. But the dressing is so good, you won’t have any trouble finding a use for it. It’s great with tortilla chips or on chicken and burgers. 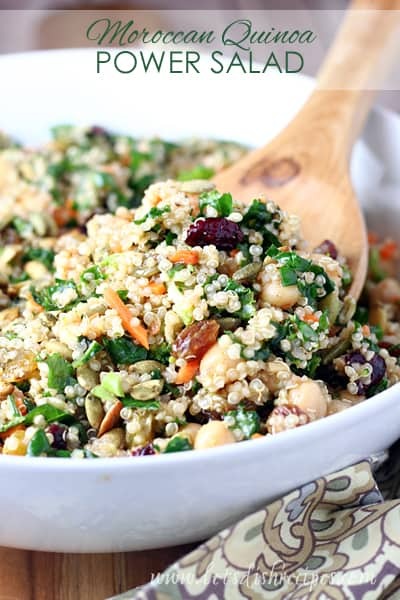 This healthy, protein packed salad is a great addition to your lunch rotation. I hope you love it as much as I do! 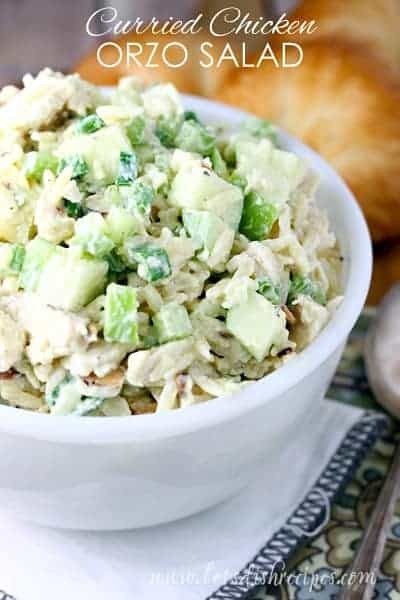 Be sure to save this Chickpea Edamame Salad with Avocado Ginger Dressing recipe to your favorite Pinterest board for later. 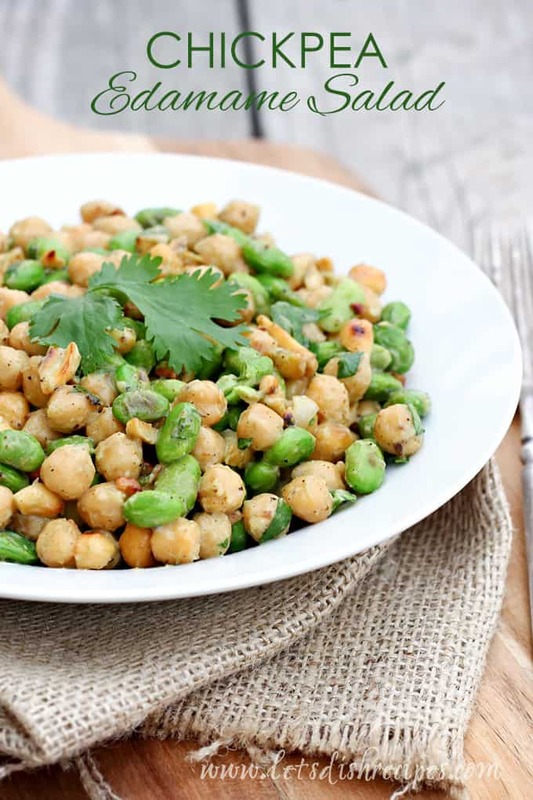 Chickpeas and edamame are tossed with a creamy, slightly spicy avocado and ginger dressing in this healthy protein packed salad. Prepare dressing by placing ingredients in a blender or food processor and blending until smooth and creamy. cumin and ginger Cook, stirring frequently, for 5-8 minutes or until deep golden brown. Add chickpea and edamame mixture to a medium bowl and season to taste with salt and pepper. Allow to cool for 3-5 minutes. Stir in fresh cilantro and 3-4 tablespoons of the avocado ginger dressing. Serve warm. This salad has everything I love!! chickpeas and edamame together? brilliant .. and the dressing sounds amazing. . definitely going to try this one! Cheers! 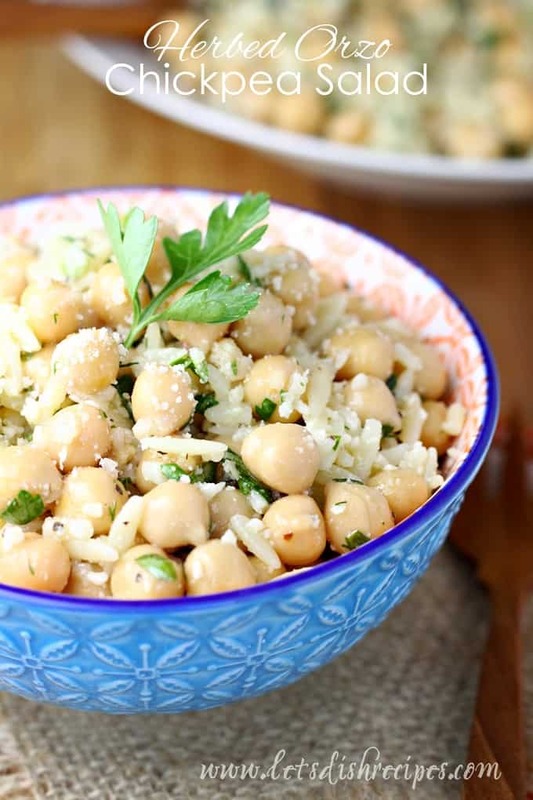 This has yummy written all over it -sounds like a perfect lunch to me! This sounds very interesting with lots of different flavors! do you have the nutrition info? Thanks for posting! I’m sorry, I don’t have that information Beverly. Thanks for the recipe. Looks simple yet delicious. If I wanted to just make the salad dressing which are the ingredients for the food processor?